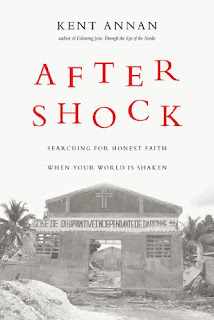 January 2011 an earthquake shaked Haiti’s world, and many of those who had ties to the people and ministries in Haiti. Kent Annan has worked in Haiti for many years and was in the USA when the earthquake happened. 6 days later he landed back in Haiti to see the devastation. This book chronicles Kent’s faith as he sees first hand trauma as well as the continuation of faith in God by those most affected. The book starts out just like a person going through the stages of a death and leads to the ending emotional of acceptance and the realization that in the tragedy, God is still present. When I started this book I didn’t care for it. I felt like the author was being to unforgiving, too transparent for me..someone who hasn’t lived through the tragedy. I decided to muddle through it and was glad I did as I began to see Kent’s progressing through the emotional phases, and coming to the honest faith he was searching for. I just loved the stories of the Haitian people and all that they had gone through, yet in their loss they still praised God. 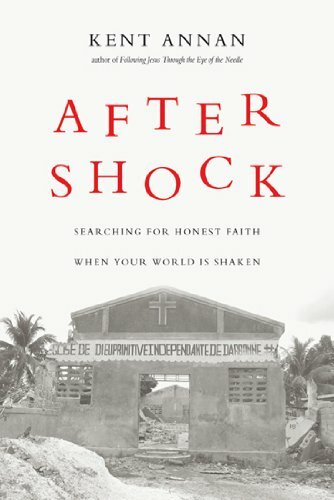 The Haitian Christians have earned my deepest respect in a situation that I am not sure many in America could endure and still come out with their faith intact on the other side. “It was like the world was ending and Jesus didn’t show up…but then God did, when_________ came and was so kind”. A stranger. A friend. Offering encouragement or a meal, a job or a room to stay in.” It was easy to see the love of Jesus in the midst of the tragedy.